Brigham Young University’s renowned a capella group Vocal Point has released a new rendition of the traditional carol, “God Rest Ye Merry Gentlemen.” The video is filmed on the campus of BYU in the Harris Fine Arts Center. This new version marries the signature playfulness and fun that the group is famous for, and the reverence that the song deserves. 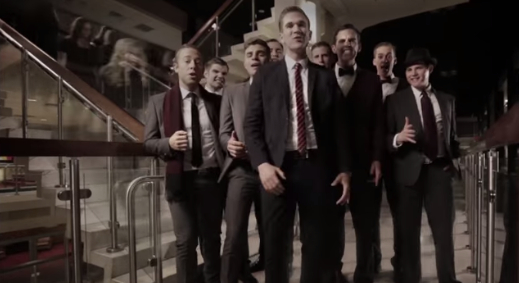 Enjoy this holiday gift from BYU’s Vocal Point.